Nearly 14,000 people were identified by the system in its first ten months of its operation. Now, Intellifusion, who created the system, is planning to send warnings by WeChat and Sina Weibo messages; repeat offenders will get their social credit scores docked. 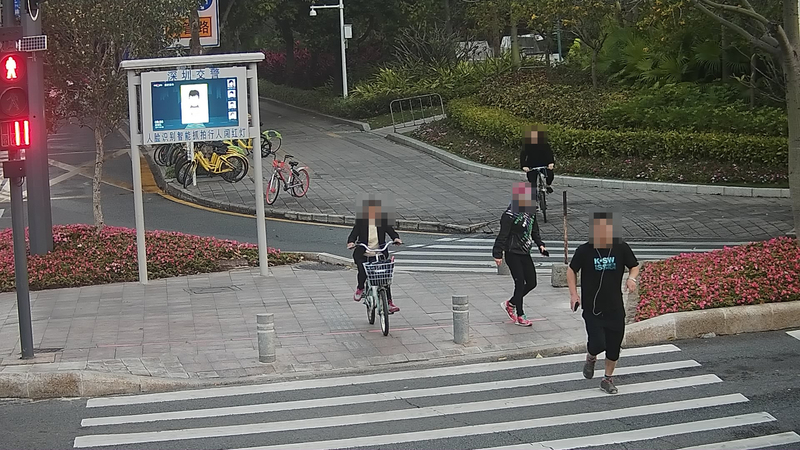 People who stay in Shenzhen for more than 30 days are required to register and allow police to input their faces into the city's databases; however, only 10 percent of those captured by the cameras have been identified (the city has many business travelers and other transients). It's all part of the 2015 Chinese Ministry of Public Security plan to create an "omnipresent, completely connected always on and fully controllable" surveillance system. “Jaywalking has always been an issue in China and can hardly be resolved just by imposing fines or taking photos of the offenders. But a combination of technology and psychology … can greatly reduce instances of jaywalking and will prevent repeat offences,” Wang said.